An easy way to program and manage this new 817nd is with some simple computer control software (and with the intention of having it work with VKCL logging into the future if need be, I lashed out and spent $11 on ebay and purchased a USB to CT-62 yaesu CAT control interface cable. The cable is cheap and cheerful, it took around 2 weeks to arrive from this ebay seller. The downside with this cable, only discovered when it arrived, the serial/chipset this device is using is a CH340, and i have yet to find (make work) a mac version. I dragged out the netbook and was able to use it on XP with no issues. and it simply does what it says. Ive used it with the Wouxun KG-UV6D as well. 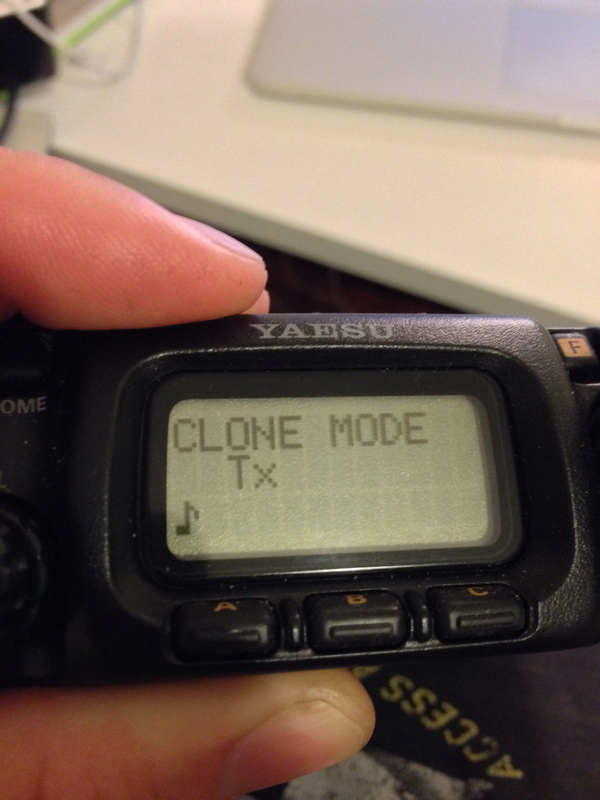 Power on the radio while holding down both MODE < > buttons, The radio will beep three times and show “CLONE MODE” on the display. Set CHIRP up to download the radio image form the menu, then on the radio, press button “A” and the radio will start TX’ing data, and you have a copy of the radio memories. 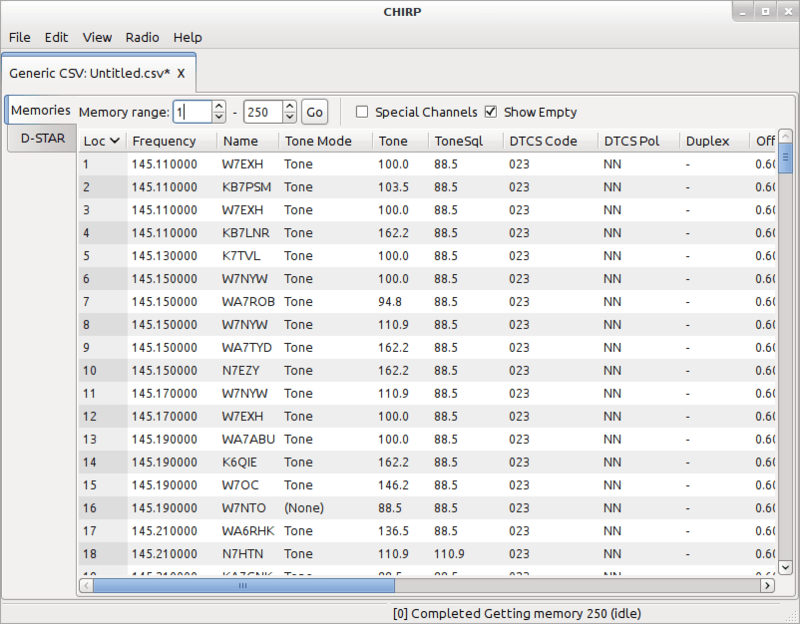 Program up the radio in chirp with your repeaters and other parameter settings and save a copy. 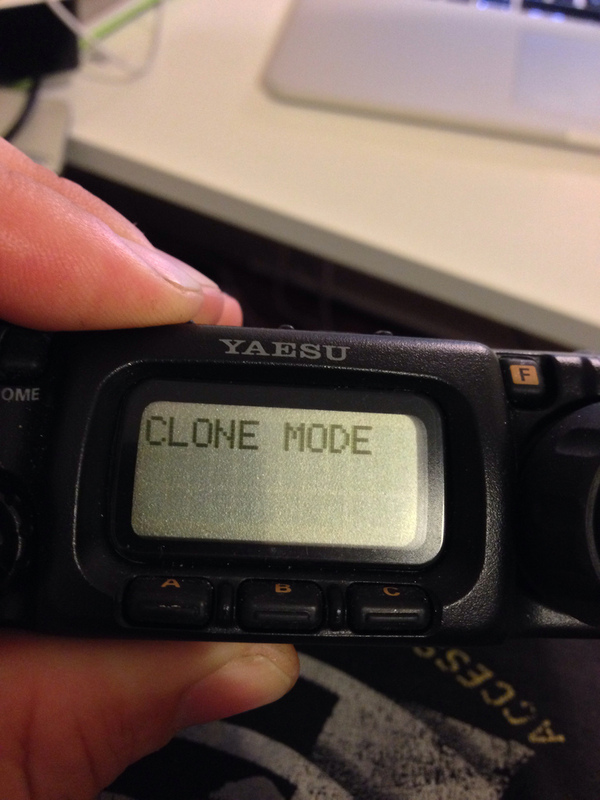 To load the new memories/file into the radio, power on the radio as per above and enter “CLONE MODE” again, Set CHIRP to upload to radio and then press the “C” button on the Radio, the device will change to RX mode and receive the new configuration. The instructions are on page 69 of the 817nd (2011) manual under Cloning. 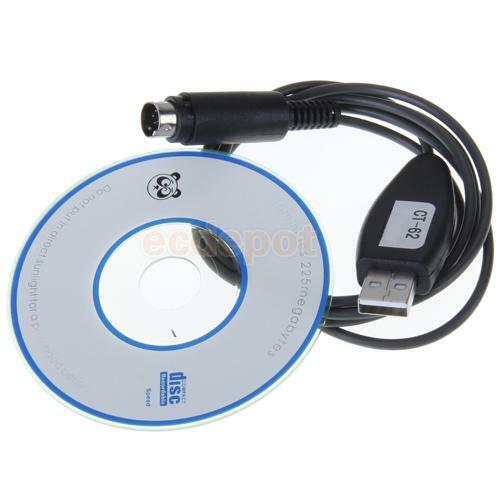 Once I create a file with my local repeaters and other settings, Ill host a copy for all (vk3 centric) This cable makes programming simple and easy. Nice tip Andrew, downloaded it tonight and programmed in some frequencies, works well although i used a true RS232 board into a USB-RS232 adapter, got sick of fighting with the drivers for USB cables. Hello Andrew, thanks for your post. I am using CHIRP for programming my Baofeng and FT817 radios without problems, cheap and fast. Really useful page as the FT817 manual just states they don’t support software. fantastic radio though.